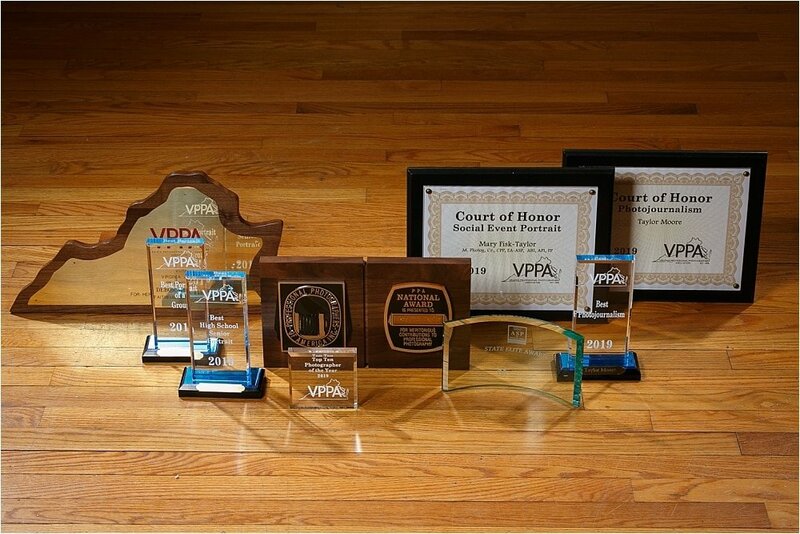 We are so excited to share this Celebrating Honors Received at VPPA post your our Hayes & Fisk family. 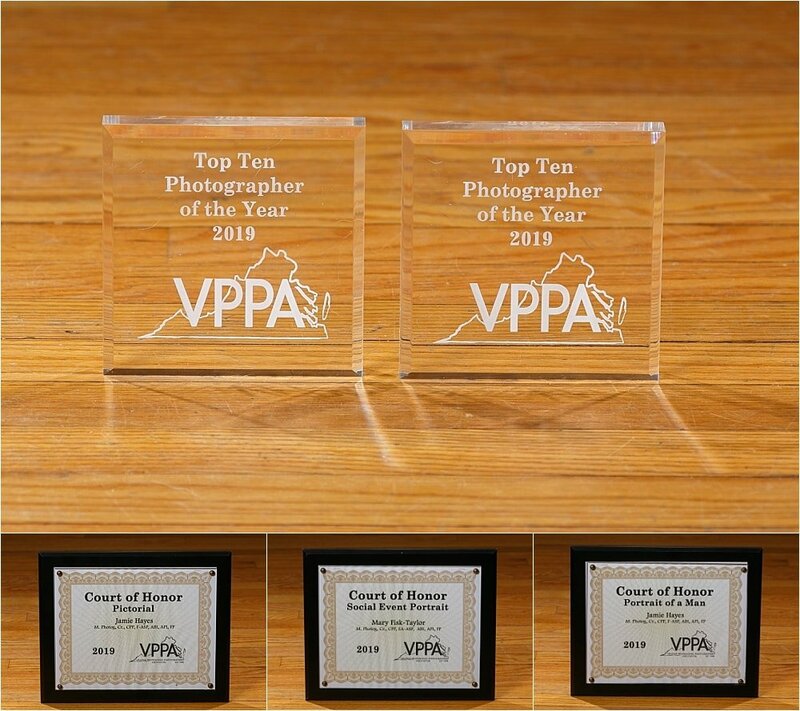 As many of you know, Professional Photographers of American (PPA) and our local affiliate VPPA are very near and dear to our hearts. Not because of the accolades that we share with you today, but because of the education and comradery we share with fellow photographers. Mary and Jamie and long-standing members of both organizations, but it goes even further than membership. 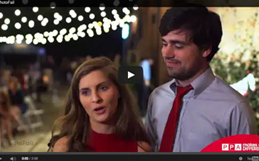 They believe in the mission and work hard to support it in every way. Together they participate in yearly conferences, present to fellow photographers, attend sessions to learn from their colleagues, volunteer in numerous capacities, and Mary serves on the Board of Directors for PPA. These are responsibilities that they don’t take lightly. So when they have the opportunity to submit work for competition they jump at the opportunity. They don’t do this simply to bring home awards and trophies, but more importantly to learn from their work and strive to become even better at their craft. Hayes & Fisk also take great pride in the fact that the majority of their submissions each year consists of client’s work, not work that they create simply for competition. We believe that this authenticity comes through in each piece we submit. 2019 Photographer of the Year – Jamie received this for the third time in a row. 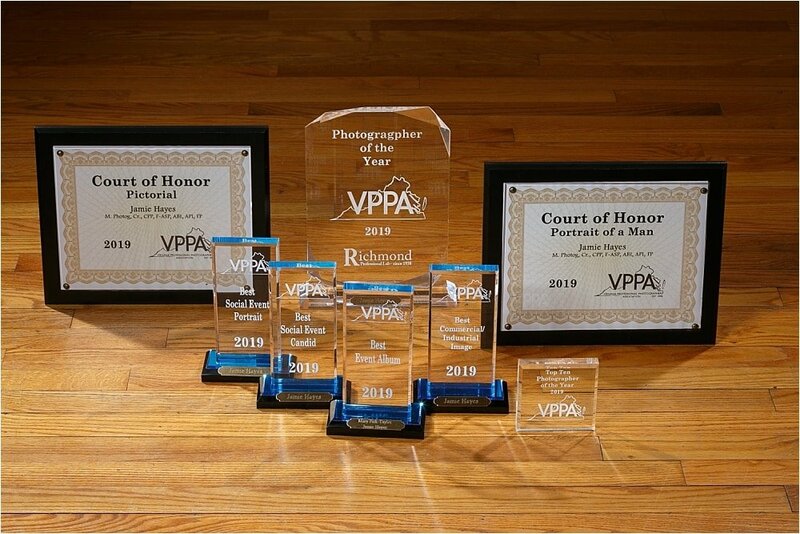 Jamie and Mary both received the VPPA Service Degree – This means they gave over 85 credits of combined service, teaching, volunteering and entering image competition to the Virginia PPA. This is a brand new degree and they were two of the first to earn it (less than 10 earned it total). There were 607 entries in the image competition (which is HUGE), however, we still won the following awards between the two studios, Hayes & Fisk and Real Life Studios. Mary was also awarded the PPA National Award. 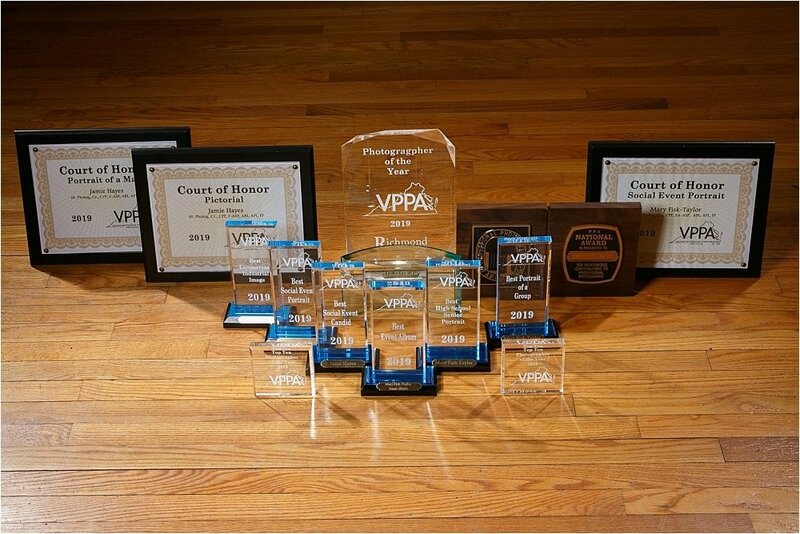 The National Award is a special honor that PPA Affiliates can award to recognize outstanding services in professional photography. 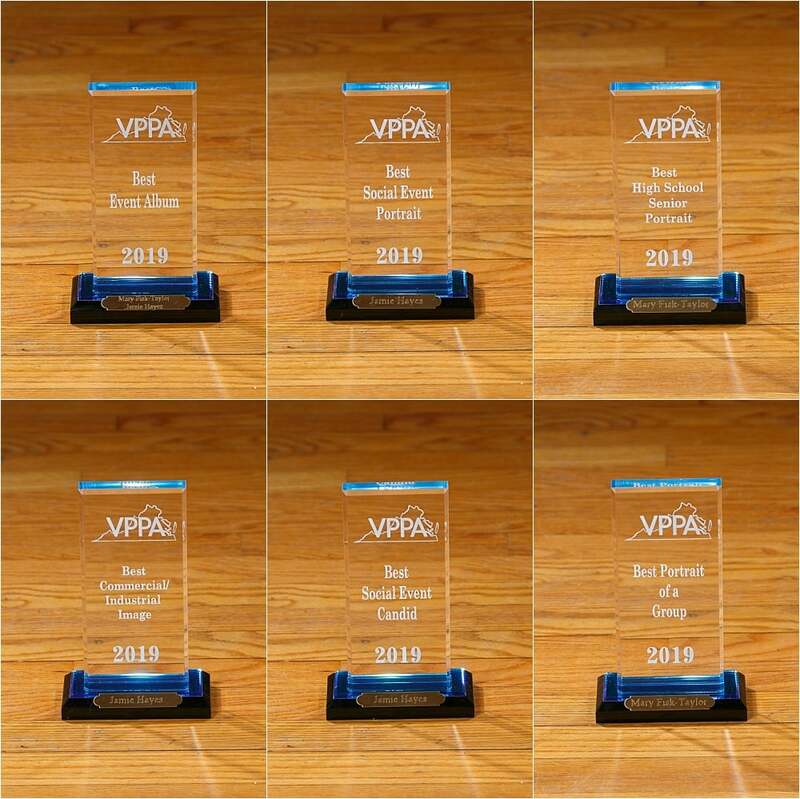 It is available to state, regional, and national PPA Affiliates to honor an individual for his or her outstanding services to professional photography in their community. 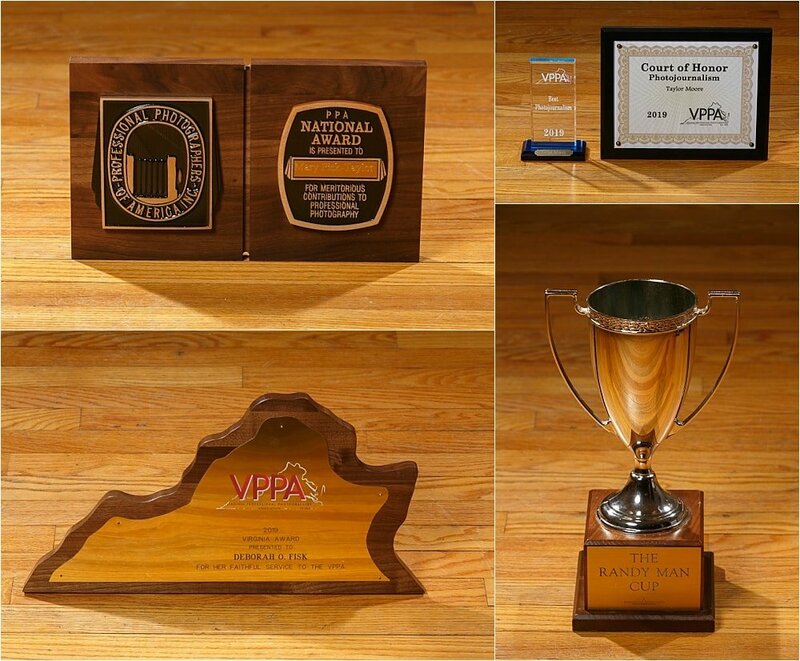 Last but not least, Andee won the Virginia Award for her service to the Virginia Professional Photographers Association and years of volunteerism. This is a very high honor and we couldn’t think of a more deserving person for this award. Below we are sharing some images of the actual awards and trophies because we can’t share the actual award-winning images at this time. We will be able to share them with you after the International Competition in August.